I would not have read certain books, had I not been assigned the job of teaching them. And I am mighty happy that I was assigned such a job. One of such curious books is `Unto This Last' by John Ruskin (1819-1900) which appeared in 1862. Probably, some bias against the Victorian literature instilled by my modernist preferences is one reason why I stayed clear of the Victorian Prophets. However, its time I got rid of my biases. There are h ardly funnier and entertaining books than Carlyle's Sartor Resartus. The book is important for India because it has deeply influenced Gandhian thought. Gandhi translated the book into Gujarati as ` Sarvodaya' (1908) and it was retranslated into English! This curious case of back translation is also interesting for me as a student of translation. Ruskin's book is a collection of four essays he published in Cornhill Magazine in 1860 and the magazine was forced to stop its publication owing to the outrage and aggressive opposition it provoked. Ruskin's approach can termed as `prescriptive economics' where he makes a rather impassioned plea for more just and human economic thinking. The book is a vicious invective on contemporary laissez-faire economic theory as exemplified by Ricardo, Mill and Adam Smith. He attacks this though as being inadequate and being pseudo-scientific like astrology, alchemy and witchcraft. Ruskin argues that it is inhuman and narrowly defined as it does not take aspect of human personality other than economic into consideration like emotional attachment or envy or jealousy which dictate human behaviour into consideration. He objects to the economic thought based on the mechanical conception of economy based on `demand and supply mechanism' and competition. His most outrageous suggestion is to fix the wages irrespective of the quality of labour and the demand-supply mechanism which make it volatile. This volatility and fickleness of the price of labour, in Ruskin's view is unjust and extremely detrimental to society in the long run. By setting a constant price for labour, Ruskin feels that the bad worker does not flourish by reducing his charges and thus consequently reducing the damage he does to the society. This move, Ruskin feels, also does not force the good worker to reduce his wages because of competition. The title of the book comes from the parable of the workers in the vineyard in the Bible (Matthew 20:14). The parable illustrates the God as an ideal employer who pays the last man who is hired on the vineyard, the same amount as the first man to be hired. Ruskin's use of the Bible for reinforcing his arguments is also fascinating. He cites the maxims of Solomon to back up his plea for more just economic system. The most interesting part of this book, however, in my view is his insight that `What is desired,under the name of riches, is essentially power over men....and this power of wealth is greater or less in direct proportion to the poverty of the men over whom it is exercised and inversely proportional to the number of person who are as rich as ourselves.' ( The Veins of Wealth). The more wealthier people we have around us, the less valuable is our wealth. So it is poverty which keeps rich men rich, not the wealth! In a characteristic way, Ruskin questions Mill's definition of being wealthy as,` To be wealthy is to have a large stock of useful articles', by question what exactly is the meaning of `have' and what exactly is ` useful'. He gives the example of the passengers in a wrecked ship who fastened a belt about him of two hundred pounds of gold. 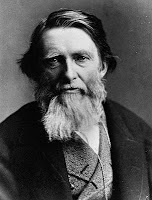 When he sank, Ruskin asks, `had he the gold? or the gold had him? He also gives an example of the embalmed body of St Carlo Borromeo holding a golden crosier and a cross of emeralds on its breast. Ruskin asks can we say that the corpse `has' those `useful' articles and so is wealthy?
" Absolute justice is indeed no more attainable than absolute truth; but the righteous man is distinguished from the unrighteous by his desire and hope of justice, as the true man from the false by his desire and hope of truth. And though absolute justice be unattainable, as much justice as we need for all practical use is attainable by all those who make it their aim." Emphasizing that the ethics is the true base of economy, Ruskin observes that money is basically a promise ( "I promise to pay the bearer the sum of ten rupees") and if the ethical base is destroyed it will destroy both the economy and the society on which it is based. Ruskin reminded me of Barack Obama and his policies. It is not so much the question of the right and the left, but the question of basis of society. The Invisible Hand of Market Forces, as the global recession as demonstrated, has failed to show up and it is left to the Hand of that State, which people had declared to be irrelevant and dying, which was called up to rescue the collapsing economy.Well, the nation-state is indeed alive and very much kicking and it is the prophets of the nineties who predicted the evaporation of nation-state ( like Negroponte in his Being Digital) who have vanished so has the dogma of the nineties. Market, then, is not a self regulating mechanism based on the force of demand and supply. Gandhi, one of the truest disciples and translators of Ruskin is famed to have said that we have enough for people's need but not enough for people's greed. Greed left to its own devices, is self destructive. Marx saw capitalism as being self-destructive in the end, so did Gandhi and Ruskin. Ruskin makes a sharp distinction between the Political Economy, which is concerned with the welfare of whole society, with the `mercantile economy' which is a science of getting rich. Ruskin responds to his detractors who say that `every capitalist knows by experience how money is made and how it is lost', by saying that these capitalists who,` playing a long practiced game, are familiar with the chances of its cards and who can explain their losses and gains. But they neither know who keeps the bank of the gambling-house, nor what other games may be played with the same cards, nor what other losses or gains, far away among the dark streets, are essentially , though invisibly, dependent on theirs in the lighted rooms. They have learned a few, and only a few, of the laws of mercantile economy; but not one of the those of political economy." It is when the governments start following the laws of mercantile economy rather than those of political economy that the society is in trouble. There is a saying in Gujarati which says, ` Raja Vepari to Praja Bhikhari'- `When the king is a merchant, his subjects are paupers'. The global economic slowdown which has resulted in a great liquidity crunch and immense unemployment is a result of the governments behaving like grocery shopowners rather than as responsible managers of the societies.Only if the governments have a genuine concern for the society as a whole, instead of spending time increasing its bank balance. 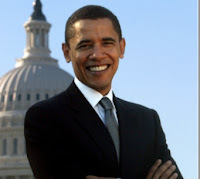 Obama, in one of the presidential campaign speech had said that the governments should care for the people on the streets, rather than the people on the Wall Street. Obama is the Ruskin of Twenty First Century. That the global recession is a social crisis of a global nature has to emphasized and understood. May be the people who are hurt by the crisis would learn a lesson and be wiser in future and it is probable that the crises will actually be favorable for the planet. When we understand that in the Age of Interconnectedness and Interdependency, you cant become rich and happy when your neighbour is poor and unhappy. This morning I received the sad news from Hemant that Dilip Dada is no more. With passing away of Dilip Chitre (1938-2009), an era of Marathi poetry and literature comes to an end. He was one of the greatest poets in Marathi and one of the best Indian poets. He was a fantastic translator, critic and fiction writer. He was always a brave rebel, an immensely creative personality and uncompromising critical intelligence. He kickstarted the `Little Magazine Movement' in Maharashtra with his little magazine`Shabda' in the mid fifties. He remained a great influence and inspiration for hundreds of younger poets like me. He did so many blurbs for young unknown poets like me in Marathi. He was always `dada' an elder brother, and never a father figure. He never imposed himself or his ideas on people. His greatness lay in his attitude in treating everyone as equal. It was this spirit that permeates and pervades his work as an artist. My encounters with Dilip Chitre have always been exciting and provocative. It was always an illuminating experience to listen to his long speeches full of very original insights. I met him for the first time during Abhidhanantar's decennial celebration where he read his poetry. I consulted him for his advice on publication of my first Marathi collection. He recommended the name of Hemant Divate. I met Chitre again in May 2003 and had a long session on Marathi historiography with him. His critical inputs while making of the Live Update Anthology were precious. He liked my selection of poems and was critical about many things. One day in 2004, he called me up and had a long telephonic conversation with me.I remember his remarks about his possible death during that conversation. I said we need people like you to be with us. He said, and very typically, that we need Shakespeare and Tukaram too but then it is not in our hands. He liked my translations and poetry, he said and I should not harbour self doubts. He said, with his tongue very much in his cheek, that we, Maharashtrians in general and particularly me should remember Shivaji and shed feelings of inferiority. He remarked that my strength was that I worked with four languages: Marathi, English, Hindi and Gujarati. He also said that Ashwini's poems are better than mine. In one of my later visits, he gave me a profound insight regarding poetry and modernity: modernity and creativity lies in the spaces between words of your phrase. It is in this turn of phrase, he said, that contemporary creativity lies. I also had the honour of working with him on New Quest and it was again a very interesting phase. We had our differences and he probably saw me as an obstinate animal with inferiority complex, but he was always sympathetic and warm and treated me at par with himself. He loved Amogh and thought may be Amogh would be able to show way to his poor wayward father. When the fatal cancer was detected some time back, Chitre fought back bravely and we thought for the moment that he would survive it as he has survived some of the most difficult times. We knew he was a fierce fighter. He was forever young in spirit. The way he took to the latest technology is simply amazing. When people of his age, felt that cellphone was a gadget from a different planet, used only by aliens, he networked energetically on the social networking sites like Orkut and Facebook. He had 1118 friends on Facebook at the age of 71, which would give a 17 year old net newbie all sorts of complexes. The most difficult period for me, was when he lost his son and I did not know what to say and how to speak to him. It was one of the most shocking things for us and I felt me and Ashwini were too young to `console' someone like Chitre's who were not only very elder to us but also were people we looked up to.His wife, Viju tai is, for me an equally admirable woman; very warm and loving and very supportive.She stood by Dilip in most difficult of times and he always treated her as his equal. I pray to god to give her strength to bear this great loss. He once compared death with sharpshooter who claimed his close friend Arun Kolatkar, his son and people close to him in quick succession. The Sharpshooter has claimed Chitre too. His poetry in English and Marathi since its very beginning, reflect an obsessive preoccupation with images death and self-mutilation, making it dark and disturbing. The Sharp Shooter has put an end to this agony at last. I think Dilip dada's one of the most important contribution to Marathi poetry and even the Indian poetry is his remarkable invention of `indigenous modernity' , which is simultaneously cosmopolitan and rooted, profoundly democratic and uncompromisingly artistic, deeply influenced by greatest international poetry and singularly situated in the democratic and pluralistic indigenous tradition of bhasha poetry. He saw that what unites powerful poetry of the post-Eliotian American poetry like the Beat Generation and Confessional poets with the extremely different , but equally powerful tradition of the Bhakti poetry as exemplified in Tukaram, was a certain existential -spiritual self-awareness, which is neither completely western nor completely peculiar to Marathi. What he says about ` Sahitya ani Atmabhaan', or ` Literature and Self Awareness' in the book by the same name in Marathi is perhaps best guide to his practice. His critical outlook, likewise, embodied these values.He could perceive the seamless interconnection between the deeply progressive and pluralist dimension of his tradition with the universal human dimension of the international and western modernity. Hence his poetry will be something of an outsider to people brought up only on the westernized aesthetics or only on the native ones. Like Tukaram and probably Ginsberg , he made no distinction between living and writing. When we enter his poetry, we have to pick up the challenge of facing the man, his life and his agonies. We who cant even face our own darkness will find it difficult to face the looming personality of the man himself staring at you from his words. His poetry, hence, will never be populist or popular as it offers no false respite and reassurances. His poetry is not peppered with humour to people who want to have a bit of fun. His poetry is dark, serious and unbearable and in order to read Chitre, you have to read him on his own terms and not according to your demands. He is not a `demand-supply' man. It is this challenging non-conformity which makes his poetry not becoming people's favourite. Chitre was never a conformist in life. He never gave into the Brahminical middle class mindset that pervaded Marathi poetry and certain right-winged attitudes to Indian culture. His earliest short story, ` Kesaal KaleBhore Pillu' ( A Dark Hairy Pup) dealing with clandestine sexual relation between a servant and his mistress, enraged the well-known Marathi writer Atre so much that he publicly declared his desire to flog Chitre. When the American scholar James Laine acknowledged him in his controversial book on Shivaji, the Government decided much to Chitre's anger to offer him `police protection'. He vocally protested against the vandalization of the Bhandarkar Institute, communal riots in Gujarat and all forms of bigotry everywhere. His vision of culture admitted no such narrow and intolerant actions. They don't make people like him these days. Dilip Chitre is no more physically with us and to say that he will be with us in form of his ` akshar deha'- `the body of letters', would be a cliche. However, Dilip Dada will live not in the books but in the words and in the language of later poets. His presence will be felt even more acutely now. He was a challenge when he was alive, he now becomes an unsurmountable challenge. I will always miss his deep voice, typical Puneri cap,his cigar, his pungent sarcasm, and razor sharp critical vision. I will miss his warmth and love. As Harold Bloom points out that the poet becomes all the more alive once he dies. Once he dies it is impossible to kill him. Now they wont be able to kill him. Now nothing can kill him. 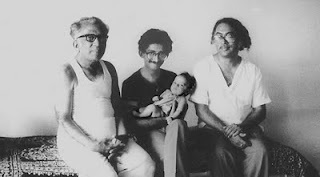 Four Generations of Chitres: Dilip's father PA Chitre, a noted Marathi editor, Aashay Chitre, Dilip's son with his son Yogul and Dilip Chitre. It is as fashionable these days to dislike Chetan Bhagat, as it is to say that one doesn't watch Ekta Kapoor's serials. One of the reasons for disliking Bhagat is what his detractors call ` atrocious' English. The guy, these detractors say, cannot write `decent' English and is artistically very inferior when it comes to things like the plot or characterization or dialogues. I find these charges rather snobbish and elitist. One reason why I find Chetan Bhagat interesting is because he is so different from academically hyped `Indian Writing in English canon comprising mostly of the diasporic writers like Rushdie, Jhumpa Lahiri or Kiran Desai. The guy writes about people and world with which the ` Eng. Lit' academics are not really familiar. Bhagat's novels are about India that is more recognizable than the one you find in The Moor's Last Sigh or The Midnight's Children. The Eng Lit. scholars are more conversant with Jhumpa Lahiri's expatriate NRIs living in New York than with people who work in the call-centre just round the corner. Bhagat's world is the contemporary urban upper middle-class world. His language is the one that you hear in this world. This class emerged largely in the post-nineties era of privatization, liberalization, and globalization. This is the Hinglish speaking generation from the English medium schools from towns and cities. Chetan Bhagat's English is the English of this generation. It may be `inelegant' and `atrocious' to some local Brahmins of Good English. But then who cares, Bhagat's bhagats will read him anyway. Chetan Bhagat's world is easy to identify with. Interestingly, some of these Brahmins cite Rushdie's chutnification of English with pride, though his India is a tourist India seen through NRI glasses. These Brahmins don't seem to complain about absolutely unreadable style of `high-browed' hyper canonical authors like Joyce of Finnegans Wake or Pynchon of Crying the Lot 49. While it is incorrect to impose elitist academic grid of canonical literary values on the popular fiction, it is equally incorrect to impose our expectations from the western popular fiction on the emergent Indian popular fiction in English. What is needed is to contextualize this emergent genre historically and analyze its content to understand the class it caters to. We need to place it along with the writers like Rajashree, Anuja Chauhan and Swati Kaushal ( of ` Indian Chick Lit fame). Bhagat is indeed no Borges or Joyce or Kafka, but he is for me better than people like Rushdie who pretend to be Borges, Joyce or Marquez and offer cheap imitations of those writers. Bhagat is low profile compared to people like Rushdie and more modest. He knows his limitations and within these limitations, he seems to be working fine for me. However, the reading taste of the new generation is very interesting and funny. I find fascination for Dan Brown, JK Rowling, Paulo Cohelo or Stephanie Myer incomprehensible and even silly. I never understand why Indians admire Dan Brown, for instance. While Dan Brown may be saying something shocking for the Western Christian world, Indians have simply too much of ` divine feminine'. We have too much ` divine feminine' in Baroda, for instance, where the Navratri Garbas are quiet a rage. It is people who have never read Marquez or Borges who find Cohelo `profound', while he is actually peddling out silly self help stuff under the guise of wisdom.